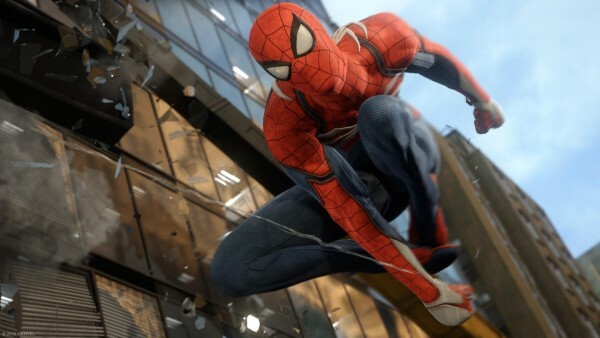 Spider-Man’s E3 footage showed off several details for the first time, including classic enemies you’d face in-game. The Rhino, Scorpion, Vulture, and Mr. Negative all showed up to pummel our hero at once, but there are still hints of an unnamed nemesis lurking behind the scenes. It’s not clear whether Insomniac Games planned to reveal these details in a new trailer, or keep it hidden until the game’s launch. Unfortunately, a voice actor may have slipped the details in advance. Which means you probably shouldn’t keep reading if you’re worried about spoilers. Are you sure? Okay, then. During E3, YouTuber Drift0r was speaking with voice actor Chris Jai Alex about his work on Black Ops 4’s multiplayer when the conversation switched to Spider-Man (Jai Alex is also playing as Rhino). During the conversation, it slipped out Insomniac’s new game will feature a fight scene with Doctor Octopus. As noted by Eurogamer, Doctor Octopus also makes narrative sense as a major villain. This villain was originally the leader of the Sinister Six, and the E3 footage shows Spider-Man under attack from five opponents. Perhaps Doc Ock is the enemy who orchestrated it all? Still, it’s a little disappointing that this mystery villain wasn’t Mysterio, even if for the puns alone. Unless…. Could Mysterio make it seem like Doctor Octopus is the game’s final boss, only to emerge at the last minute? We’ll find out when Spider-Man launches for PlayStation 4 on September 7, 2018.